WarnerMedia began investigating the former chairman and CEO's behavior earlier this month after a report detailing text messages between him and British actress Charlotte Kirk suggested an inappropriate relationship existed, the Associated Press reports. Tsujihara has donated to many Democratic candidates during the last two election cycles, including current presidential candidates Sens. Cory Booker (N.J.), Amy Klobuchar (Minn.), and Kamala Harris (Calif.), election records show. In 2012 and 2013, he donated to Harris's attorney general reelection campaign. 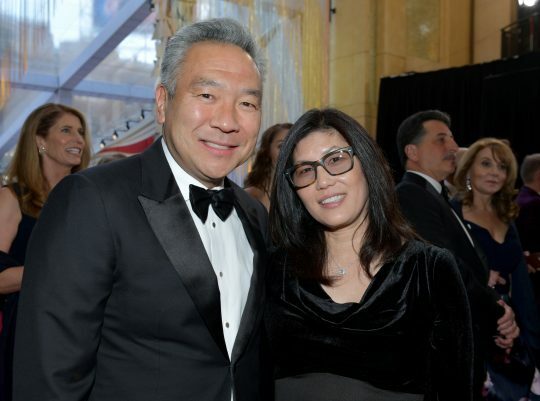 Tsujihara announced his decision to step down "after lengthy introspection, and discussions with [WarnerMedia chief executive] John Stankey over the past week," he told staff in a memo. "It has become clear that my continued leadership could be a distraction and an obstacle to the company’s continued success," Tsujihara wrote. "The hard work of everyone within our organization is truly admirable, and I won’t let media attention on my past detract from all the great work the team is doing." His lawyer, Bert H. Deixler, stated Tsujihara "had no direct role in the hiring of this actress." This entry was posted in Politics and tagged 2020 Election, Amy Klobuchar, Cory Booker, Hillary Clinton, Kamala Harris, Kirsten Gillibrand. Bookmark the permalink.